One of the greatest delights with every Roadburn Festival is the chance to bring you something new, something special that never or almost never happens — the kind of thing you don’t see every day or everywhere. To that end, it is with pure joy in our hearts that we welcome Black Bombaim & Peter Brötzmann to Roadburn 2019. Peter Brötzmann is a legend of free jazz. Born in Remscheid, Germany, in 1941, his career has spanned more than 100 albums and collaborations and he’s performed all around the world since releasing his first LP in, For Adolphe Sax, in 1967. As a member of the Globe Unity Orchestra, Last Exit, and more recently the trio Full Blast, he has pushed the boundaries of what jazz is and can be, and it is nothing short of an honor to have him on the Roadburn stage. Joining Brötzmann will be Portuguese psychedelic improvnauts and Roadburn veterans Black Bombaim. The two parties released a collaborative album in 2016 that touched the place where rock and jazz meet, and as Black Bombaim have always embraced a special kind of openness both in their own music and in working with others like Steve Mackay (The Stooges) and Isaiah Mitchell of Earthless — all while building their own reputation in the fusion of varying expanses of sound — we know that having them and Brötzmann together will push past any and all boundaries of genre and show them for the imaginary restrictions they are. 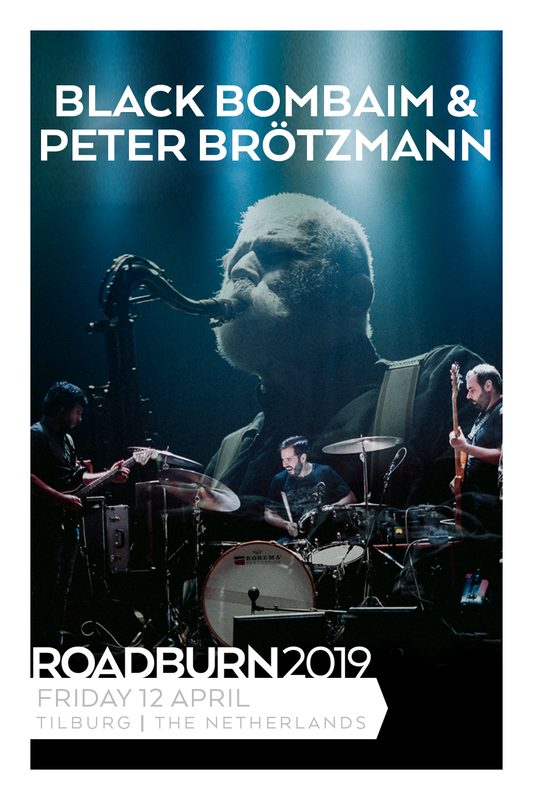 Expect mind expansion of the purest sort when Black Bombaim & Peter Brötzmann take the stage at Roadburn 2019 on Friday, April 12.